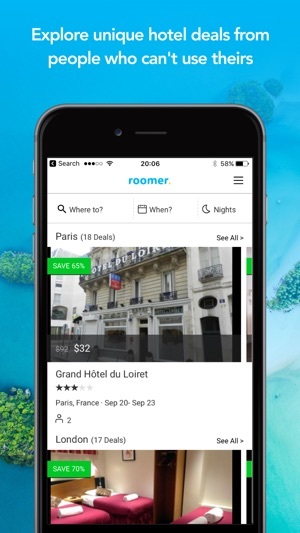 Roomer is the place where people can book hotel rooms at incredible discounts from other people who had to cancel their trips. 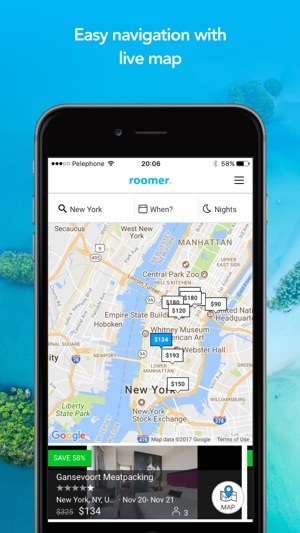 If you're stuck with a hotel reservation that you can't use, you can sell it on Roomer instead of losing all your money to cancellation fees and nonrefundable booking rates. On the flip side, if you're looking for a great deal on a hotel room, book one of our exclusive listings and save up to 80% on your next vacation. It's a win-win situation for everybody. Talk about good karma! 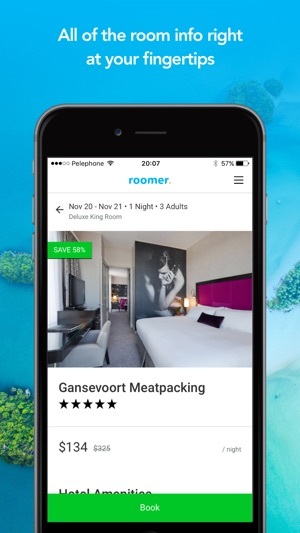 We've added a few features to make the Roomer app even better, and improved existing ones! 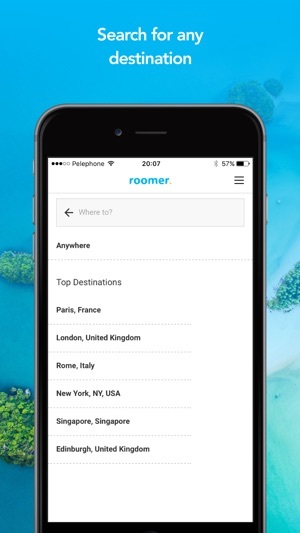 - Manage & Track your Roomer vacation from anywhere using the Roomer app. - Explore the biggest discounts in the hotel world with a simple browse of flexible dates & locations. - Come and find out for yourself why Roomer is one of the best kept secrets of the travel industry. 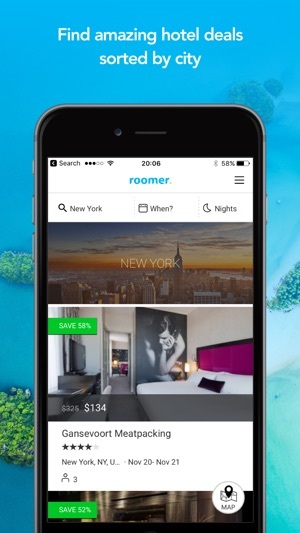 I booked a hotel room with roomer and the the price was better than any of the other sites I’ve used in the past. No problems Everything went smoothly! I booked a hotel for 2 nights in NY for my family through Roomer. I had a hard time finding a listing for 2 beds & the only thing I found was in Brooklyn. We were set to leave the following day. I called the hotel directly just to make sure they had us down for 2 beds. Nope! Had me reserved for a king bed & didn't have anything else available. I called Roomer & spoke to jenny (who was very helpful & concerned at least). She said she would find me something for my family. As luck would have it, she called back with a hotel in Manhattan. I was to get back to her after talking with my husband. I couldn't find the hotel with the address she gave me on line. Turns out it was located in Manhattan...Kansas! Had to cancel my trip to New York. Funny how all the other reviews (5 star of course) were made in a 2 day time frame.